Wall Street helped the Allies finance their World War ll triumph. As usual, they hedged their bets. J.P. Morgan assisted Germany’s rebuilding after The Great War. 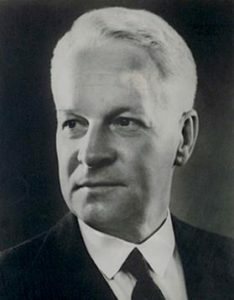 Morgan’s Thomas Lamont spearheaded the renegotiation of reparation payments and organized other Wall Street banks to bail Germany out with loans. Along with other New York bankers, Lamont helped create the Bank for International Settlements (BIS) located in Basel, Switzerland. This became the most secret of all Swiss Banks – which is really saying something. The BIS was located in a plain building in Basel. There was no sign identifying it. During the war, the BIS became Hitler’s secret private wealth manager and head money launderer. The BIS, assisted by Wall Street Bankers, played a major but little-known role in funding the Nazi Wehrmacht. It also served as a broker between Germany and its so-called “neutral “ trading partners. Sweden supplied Germany with iron ore for its war machine. The BIS facilitated the transaction payments of looted gold for steel. The leader of the BIS during the war was a Wall Streeter named Thomas McKittrick. 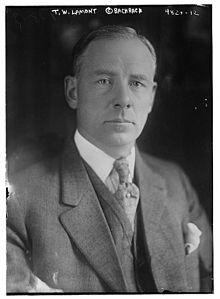 When the war ended, McKittrick was made Vice President at the Rockefeller’s Chase National Bank. He couldn’t have picked a more suitable employer. It turns out six months before Hitler invaded Poland, Chase Bank wired $25 million for his war machine. Chase and J.P. Morgan weren’t done in their role as Hitler’s private bankers. Evidently, one of Chase’s growth strategies targeted Nazi-occupied France. Sometimes Wall Street gets a bad rap, often serving as a scapegoat for populist leaders looking to rally the troops against a pretty unlikable foe. Sadly, this isn’t one of those cases. Does Your M.D. Act Like a Conflicted Salesperson?